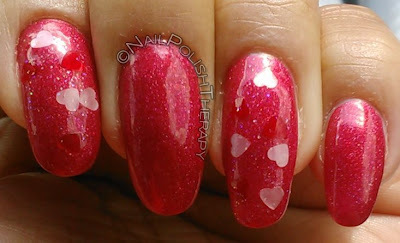 Beranda » Morgan Taylor » Nail Art » Nail Polish » OPI » Savina » Happy Valentines Day! 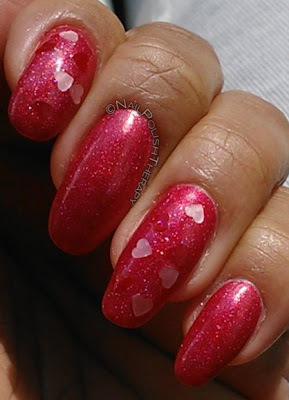 Happy Valentines Day!, I had all these creative ideas for Valentines Day manicures and I ended up getting lazy and just going with heart glitter over a dark pink polish. OPI DS Reflection is a gorgeous firey hot pink. My basic camera and the lighting did not capture the beauty of this polish, but it's definitely worthy to be in the Designer Series of OPI. Savina Hearts is a color I got from the Nordstrom's Outlet and its very simple. 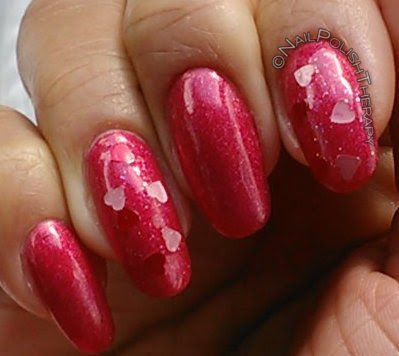 Clear based with pink and red hearts and micro rainbow glitter as well. Thoughts? Feelings? Concerns?